Exceptional hosts - had a really good experience chatting with them. 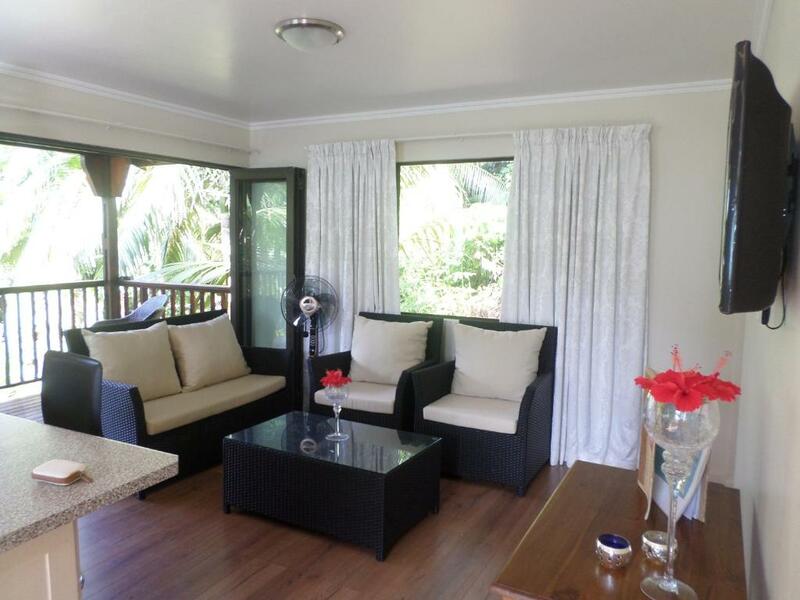 The room/cottage is extremely well done and actually exceeded our expectations. It was neat, chic and very well stocked. Very good experience! Staying at Hillside Retreat was great. 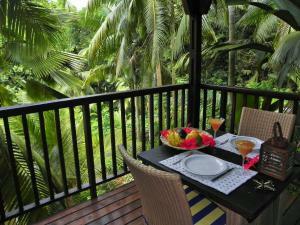 We especially loved that it felt like living in a treehouse in a tropical forest - but in a good way. 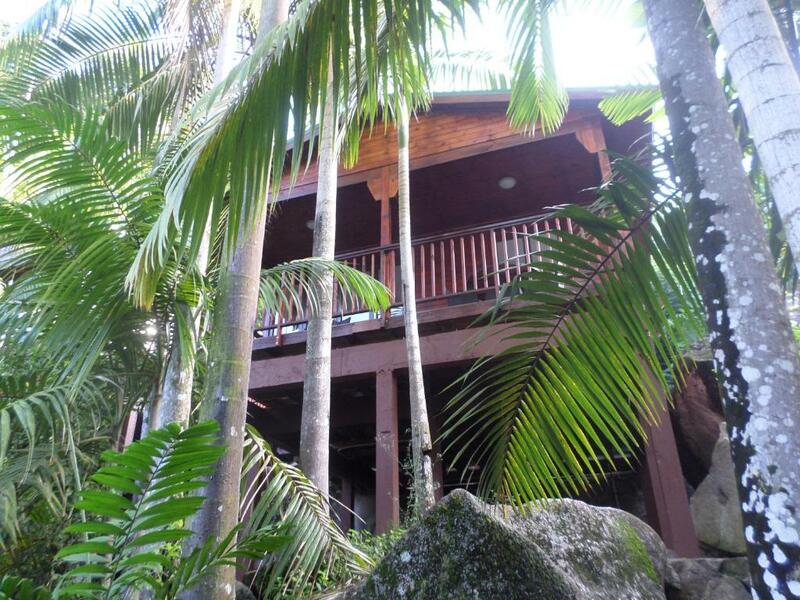 You are surrounded by nature but have all you need for a great vacation. 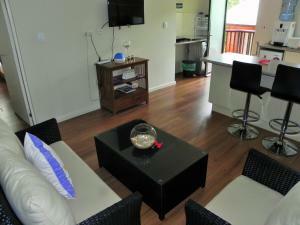 The bedroom has AC and ample storage for your luggage, the kitchen is well equipped and there is even a watercooler (that the host will refill for you very cheaply after you finish it the first time) and a washing machine. The balcony is great too and has both comfy chairs for relaxing in the shade, as well as a table and chairs to have your meals outside. You also get a beach bag and beach towels, so you are all set for going swimming or snorkeling. There is a small supermarket with a good selection that you can reach quickly on foot or with a rental car, as well as a restaurant that also offers takaway food in the other direction. It’s a nice, quiet and private cabin surrounded by plants. It feels like you’re in the middle of the jungle. There’s mini-markets nearby and very nice beaches as well. It has its own kitchen and washing machine. 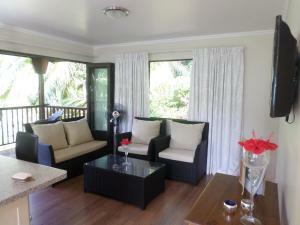 Spacious well-equipped villa, just a few minutes from a selection of stunning beaches. 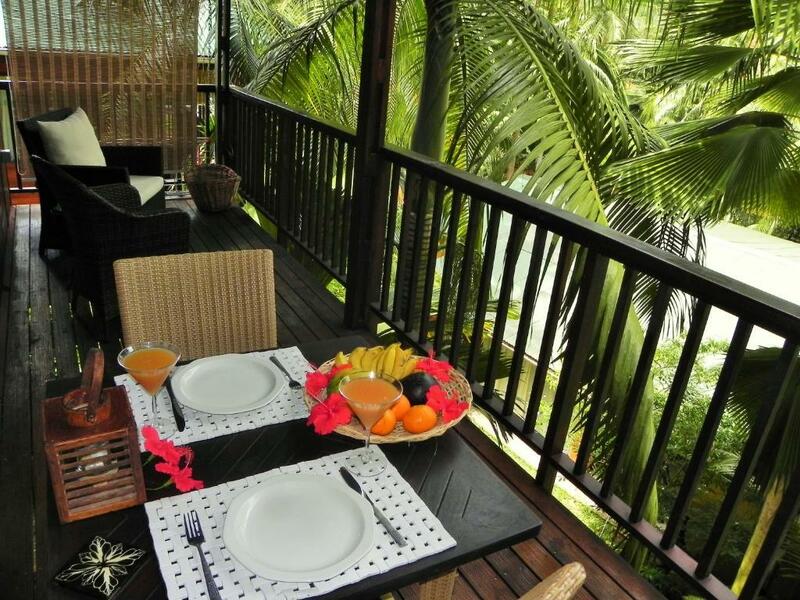 Large balcony looking out into the jungle and its birdlife. We really appreciated the quiet and effective air conditioning in the bedroom. The apartment is fabulous. Our reception was perfect! The property is very well and modern equipped, very spacious and clean. If you love nature is a "must" to stay here. Beautiful place, beautiful host. We enjoy every day at this place. Our dear host help us in every single thing that we ask for. Thank you a lot! 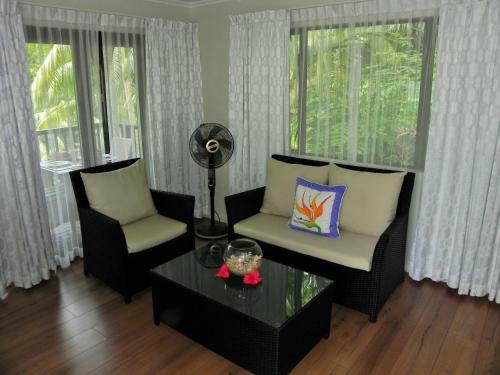 The hillside retreat is well situated in a quiet place. There is a bus stop very close to the two beautifuls villas. 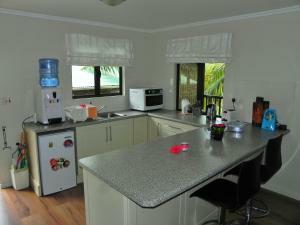 The kitchen is well equipped, the villa was spotless and we got some fruits for our arrival. Wifi was not amazing but good enough to do the basics. Because of a bus drivers strike, the owner drave us in the middle of the island to increase our chance to get a bus to the airport. Lock in a great price for Hillside Retreat – rated 9.4 by recent guests! 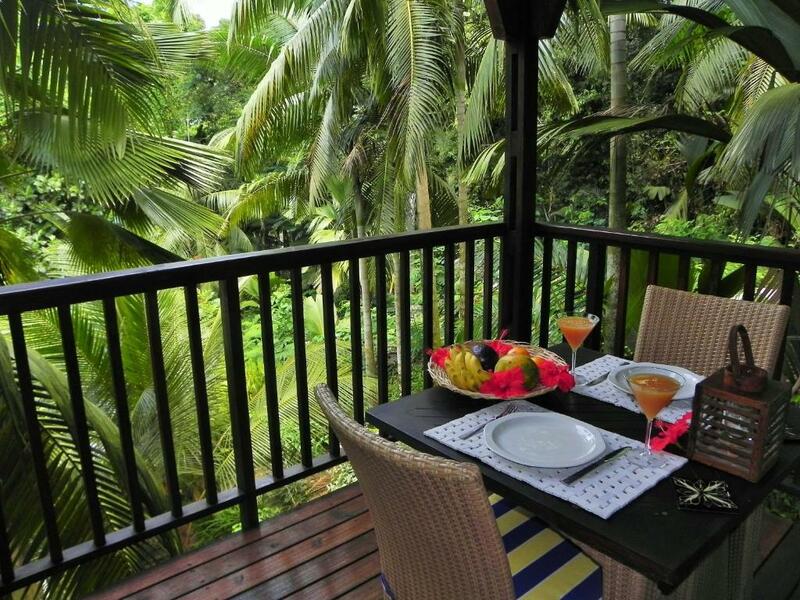 Located in Baie Lazare Mahé, Hillside Retreat is a villa with free WiFi and units equipped with a kitchen, balcony and seating area. Complimentary private parking is available on site. Every unit features a private bathroom and shower, air conditioning, a flat-screen TV and a oven. A microwave and kettle are also available. 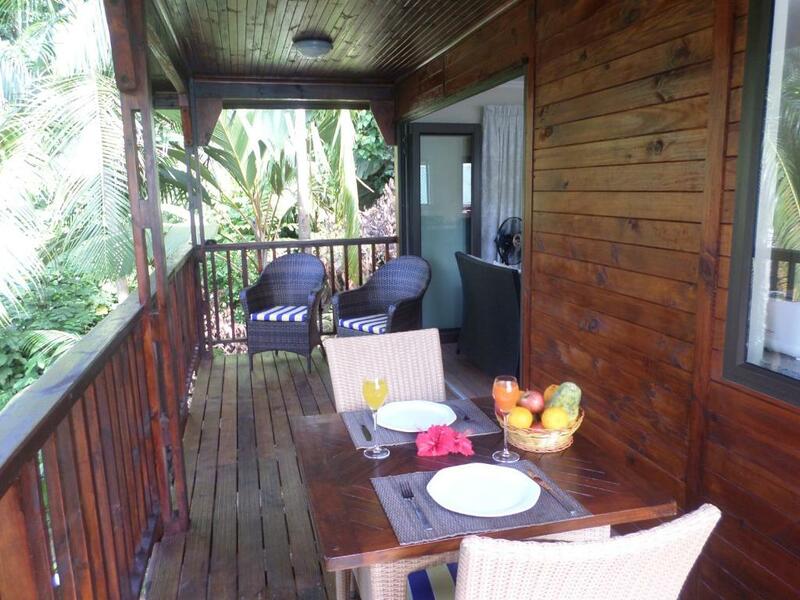 Seychelles International Airport is 10 mi from Hillside Retreat. When would you like to stay at Hillside Retreat? This villa features a balcony, stovetop and washing machine. We are situated at 200m from the mini market which is well stocked for every day items including fresh bread and eggs. The farm stall selling fresh farm produce vegetables and fruits is also in the vicinity of the mini market. Across the road from the farm stall is the fishermen stall where fresh fish can be bought directly from the artisanal fishing boats. (Selling time depends on the tide which is usually early morning or afternoon from 2pm). There is a small Café and Take Away at 300m from the villa. The streets are very safe day and night. Living in a small rural area, all the neighbours knows each other, so all our guests and visitors are welcomed and accepted as part of the neighbourhood. Walking to the beach at night is safe. House Rules Hillside Retreat takes special requests – add in the next step! Hillside Retreat accepts these cards and reserves the right to temporarily hold an amount prior to arrival. Please inform Hillside Retreat of your expected arrival time in advance. You can use the Special Requests box when booking, or contact the property directly using the contact details in your confirmation. Nothing I didn’t like really. Having a rental car is almost a must, seeing as beaches and other sights are not as easy to reach on foot or by bus. But on the other hand the somewhat remote location is also a plus, because everything is very quiet and relaxed. There are two villas on the Hillside, we were at the highest one - the Palm Villa. It is a very good modern design apartment with the wide balcony with the Seychelles wild forest view. Our host Anne-Lise was very kind, she met us at the entrance and prepared a welcome drink and a nice fruit plate! The location is also good - 1 minute driving to the food store and a take-away, fascinating beach Petit Anse (at the Four Seasons hotel) - less than 10 minutes driving. We highly recommend this place! maybe the only negativ is that rather you need car. Beautiful patio with our room up the hill. Our host was SUPERFRIENDLY! Location quiet and a remote jungle feel, even though shops and restaurants are only one minute away by car. Aircon was perfect and quiet. Loved it!! Just regarding the location - we can't find some good take-away near to the accommodation. We have been in Frangipani but there was the food terrible and overpriced. The accommodation was simply perfect! There is absolutely everything including for example umbrellas, sewing kit, beach towel or soya sauce. The owner Anne-Lise is super nice and helped us with everything. The location is great, near to the most beautiful beaches on south. I can highly recommended!